Want to learn how to inject Functional concepts into your database to get more value from your data? Want to learn how to turn imperative API into a functional one? 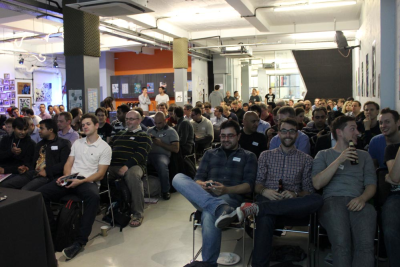 Fancy meeting other Functional developers to get multiple perspectives on how to tackle your problems? 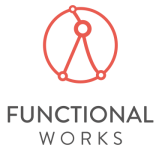 Scala, Clojure, Lisp, Haskell, Ocaml, Erlang, F#... whatever your discipline, join 100+ functional experts and data science enthusiasts at the Functional Programming eXchange to discover innovative approaches and practical solutions to common problems. We have a stunning line-up this year, including leading experts such as John Hughes (CEO of Quiv AB), Kevin Hammond (Professor in Computer Science and Functional Programming research group lead at St. Andrews University) and Philip Wadler (Winner of the POPL Most Influential Paper Award and co-author of Introduction to Functional Programming). A wide range of Functional topics will be tackled including Paraforming: how to develop effective parallel programs with Kevin Hammond, building your own Lisp with Bodil Stokke, how to create robust real world applications with Scott Wlaschin and many more. How best to blend a domain-specific language into a host language? For the domain of databases, the old question of how to achieve language integrated query is receiving renewed attention, in part because of its support through Microsoft's LINQ framework. Higher-order features prove useful even for constructing first-order queries. We prove a theorem characterising when a host query is guaranteed to generate a single SQL query, and we present experimental results confirming our technique works, even in situations where Microsoft's LINQ framework either fails to produce an SQL query or, in one case, produces an avalanche of SQL queries. Our ideas are implemented in F#, and the talk briefly considers how they might apply to other languages such as Scala and Haskell. Philip Wadler has contributed to the designs of Haskell, Java, and XQuery, and is a co-author of XQuery from the Experts (Addison Wesley, 2004) and Generics and Collections in Java (O'Reilly, 2006). This talk introduces the ParaForming approach, gives some examples and shows how effective parallel programs can be developed using advanced refactoring technology. Despite Moore's "law", uniprocessor clock speeds have now stalled. Rather than single processors running at ever higher clock speeds, it is common to find dual-, quad- or even hexa-core processors, even in consumer laptops and desktops. Haswell, Intel's forthcoming multicore architecture, will have eight cores by default. Future hardware will not be slightly parallel, however, as in today's multicore systems, but will be massively parallel, with manycore and perhaps even megacore systems becoming mainstream. This means that programmers need to start thinking parallel. To achieve this they must move away from traditional programming models where parallelism is a bolted-on afterthought. Rather, programmers must use languages where parallelism is deeply embedded into the programming model from the outset. By providing a high level model of computation, without explicit ordering of computations, declarative languages in general, and functional languages in particular, offer many advantages for parallel programming. One of the most fundamental advantages of the functional paradigm is purity. In a purely functional language, as exemplified by Haskell, there are simply no side effects: it is therefore impossible for parallel computations to conflict with each other in ways that are not well understood. ParaForming aims to radically improve the process of parallelising purely functional programs through a comprehensive set of high-level parallel refactoring patterns for Parallel Haskell, supported by advanced refactoring tools. By matching parallel design patterns with appropriate algorithmic skeletons using advanced software refactoring techniques and novel cost information, we will bridge the gap between fully automatic and fully explicit approaches to parallelisation, helping programmers "think parallel" in a systematic, guided way. This talk introduces the ParaForming approach, gives some examples and shows how effective parallel programs can be developed using advanced refactoring technology. I'm a Professor in Computer Science, in the School of Computer Science, at the University of St. Andrews, St. Andrews, Scotland, where I lead the Functional Programming research group. Implementing a toy Lisp interpreter is practically a rite of passage for the budding computer scientist. This hallowed tradition is described in detail in "Lisp in Small Pieces," the seminal work on the making of Lisps, but everybody loves a tl;dr, so let's do the 40 minute executive summary. When we're done, you'll be ready to go forth and fill the world with Lisps of all shapes, colours and Greenspun violations for Great Justice. Also, it'll be good fun. Bodil works as a computer science researcher for a secretive think tank, and is a world renowned expert in varied fields such as pizza and persistent data structures. Contrary to popular rumour, she only has five fingers on each hand, but is still an Emacs user. Reducing over relationships in graphs takes our data to the next level. Persisting that to the database saves us impedance mismatch and the overhead involved in the mapping. In this session we will talk about Neo4j and how we can use cool ideas from graph theory to get more value from our data. Amanda Laucher is currently working with Neo Technology, the company behind Neo4j. She is a language geek who is often found ranting about functional languages and great type systems. Implement trampolining IO! Traverse to your heart's content! Say "Applicative functor" like you know what it means! You know you want to. Many examples in functional programming assume that you are always on the "happy path". But to create a robust real world application you must deal with validation, logging, network and service errors, and other annoyances. So, how do you handle all this in a clean functional way? This talk will provide a brief introduction to this topic, using a fun and easy-to-understand railway analogy. Riak is one of the new breed of no-SQL database management systems, which has begun to replace relational databases for some applications. Riak is a distributed key-value store, inspired by Amazon’s Dynamo, designed for applications where scalability, low latency and high availability are critical. Riak uses replication to provide fast access to data, even when multiple nodes or parts of the network fail. It supports concurrent access to the same data by multiple clients, even when the network is partitioned. All of this makes it very hard to test. If you have a blog or site and would like to let others know about this conference, we really appreciate it! If you blog about the conference and email us the link, we'll return the favour and link back to you in our list of great community blogs. Would you like to join 100+ experts, developers and thinkers passionate about all things functional? Do you wish to learn and share common challenges and ideas across the different languages of the functional programming paradigm? Following on from the success of the last Functional Programming eXchange in December 2009, Skills Matter is proud to announce the next Functional Programming eXchange, scheduled for March 18, 2011.